I am a super weird mom. Not only do I track my kid’s poop, but I teach them how to as well. So the kids are 5, 3, and 2. Therefore, I’ve only really done it consistently up until now with my 5-year-old. Sometimes I can’t even believe I admit we are that detailed around our house, but I truly believe it’s that important. It’s also that easy to track. If my 5-year-old can do it, so can you. 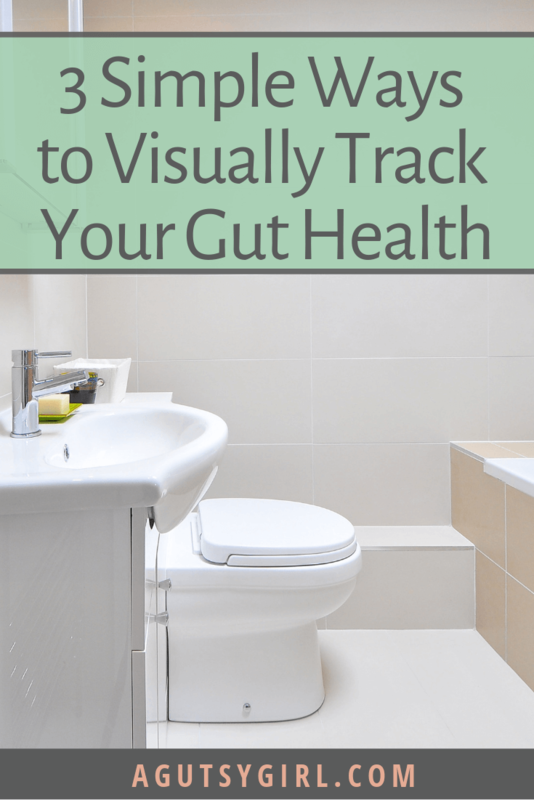 If you just try these 3 simple ways to visually track your gut health, within the next week, you might have some clear direction as to whether or not there might be something off. 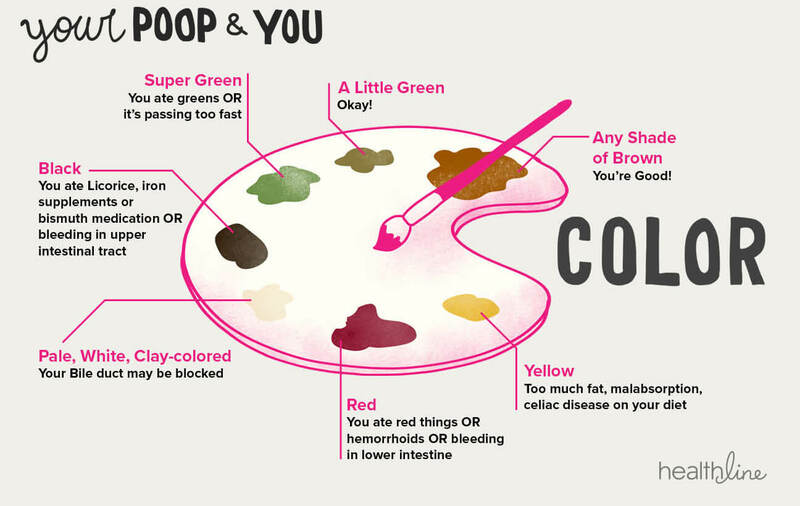 The color of your stool can say a lot. It can also mean nothing – i.e. you just ate a ton of beets and now you’re seeing red in the stool. If you haven’t eaten anything unusual or taken a new medication, pay attention to the color of your stool. This is a great graphic via Healthline, taken from Mayo Clinic information. 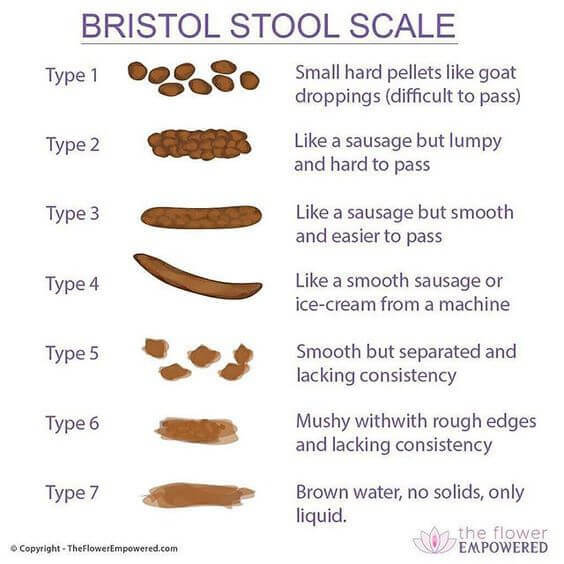 I have discussed the Bristol Stool Scale at length and you can check that post out HERE. There are seven types of stool, according to the Bristol Stool Scale, and they can tell you a lot about the state of your gut. The Bristol Stool Scale also coincides with #3, frequency. Typically, if you are a Type 1 or 2, you’re going to the bathroom less frequently; if you’re at a 6 or 7, more frequently. How often you are going to the bathroom can be a great indicator for overall gut health. Running to the bathroom all the time or going only a couple times per week (or a combination of the two) for any length of time indicates something could be wrong. There is no gold standard when it comes to how many times per day you should have a bowel movement, but experts agree that you should be going three or more times per week. Optimal bowel movements are once or twice per day. If any of the above 3 simple ways to visually track your gut health are off for a day or two, it’s (usually) nothing to be concerned about. But if a change in color, size, and/or frequency becomes an ongoing problem, be sure to see a doctor. 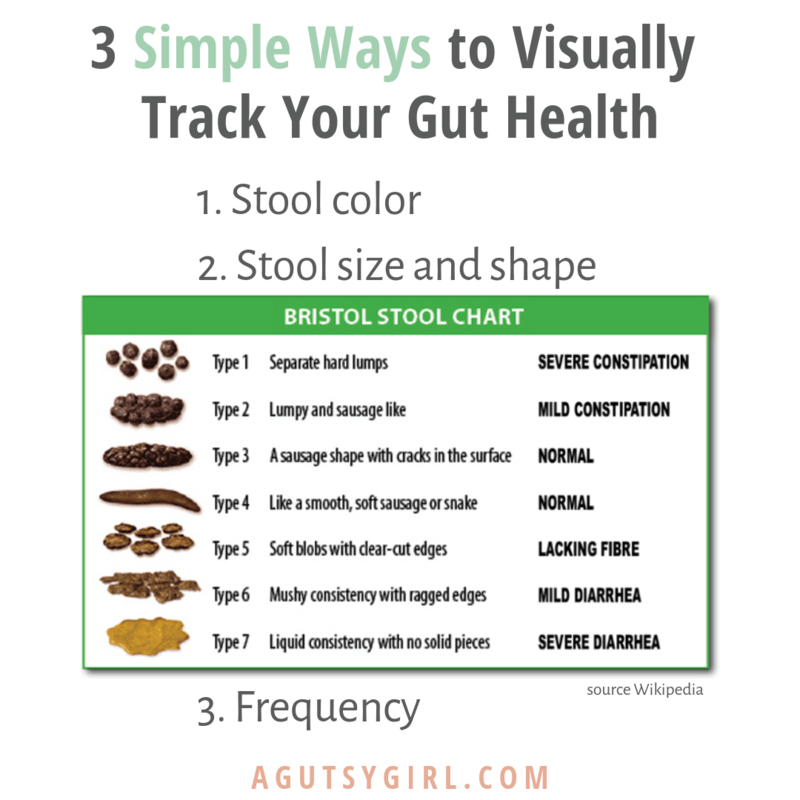 Also make note that visual changes are not the only way to track gut health. Symptoms can be found outside the gut as well. Make sure you’re looking at the full picture. The only true way to know if something bigger is going on inside would be to test. You’ll find a list of gut tests I’ve done over the years HERE. And you can also check out the Complete List of Common Digestive Conditions. Finally, track all of this with a Gut Healing Bullet Journal.